Brisk event sales are a breath of fresh air! 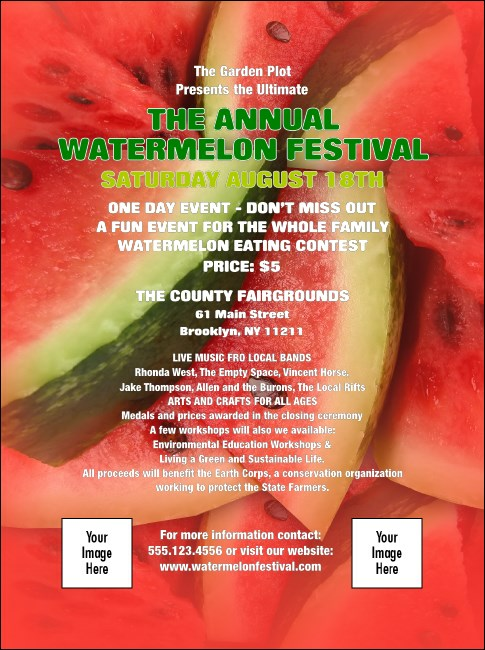 Summery flyer with bright, full-bleed image of succulent watermelon slices sweetens the prospect of picnics, barbecues, and other warm-weather get-togethers. Delicious images and easy-to-use templates make TicketRiver.com.au the hottest place to print tickets on the Internet.